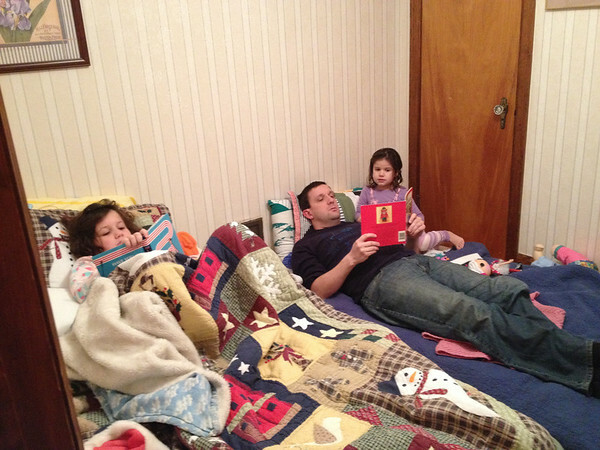 Bedtime in Papa’s childhood bedroom. This entry was posted in 365 on December 30, 2013 by Rebecca. It might have been dark and rainy outside, but we were all smiles inside! For families that live far apart, Christmas can fall on the 29th of December without any of us batting an eye. Such a lovely day to spend together! This entry was posted in 365 on December 29, 2013 by Rebecca. Today we finished our two leg trip to Grandma and Grandpa’s house. We’ve made this drive so many times that I have lost count. 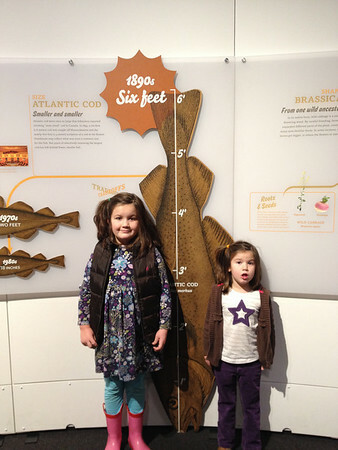 The girls are amazing road trippers and today’s trip was no exception. 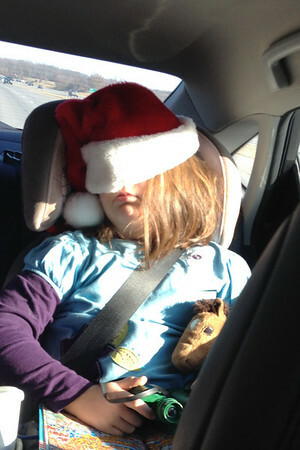 Catherine hasn’t napped in the car for years, so you can imagine my surprise when it went quiet and I glanced back to find a sleeping santa. Note that she hasn’t given up her horse, “Constellation, Jr.”, her new binoculars or the Where’s Waldo book she’d been looking at. This entry was posted in 365 on December 28, 2013 by Rebecca. I ran a quick errand today and came home to this cozy scene. 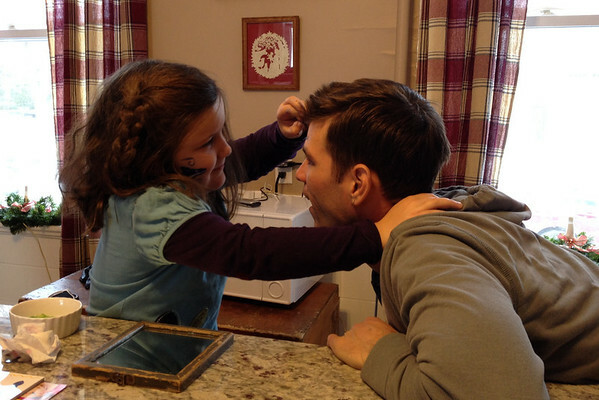 Clearly, uncle + face paints = awesome! This entry was posted in 365 on December 27, 2013 by Rebecca. There is no door 26 on the girls’ advent calendar, but I think the swimming hippos from yesterday will keep us entertained for the rest of the month! 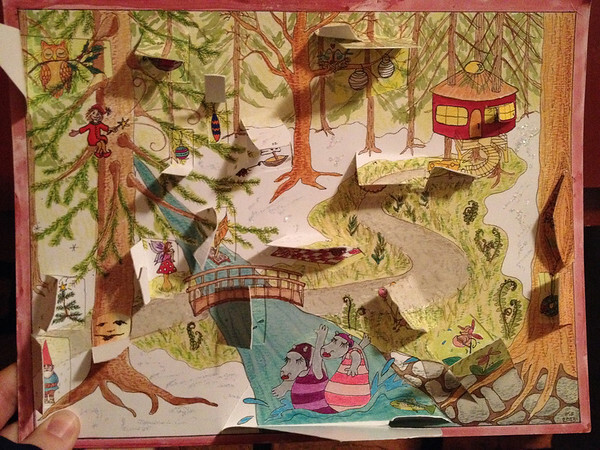 This entry was posted in 365 on December 26, 2013 by Rebecca. 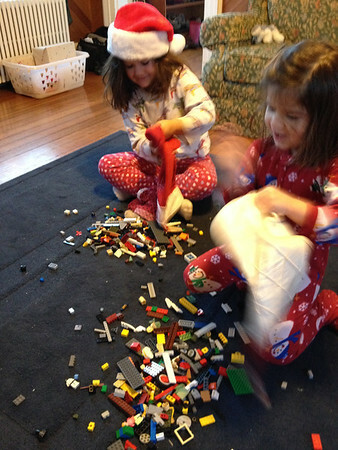 Four stockings full of Lego. 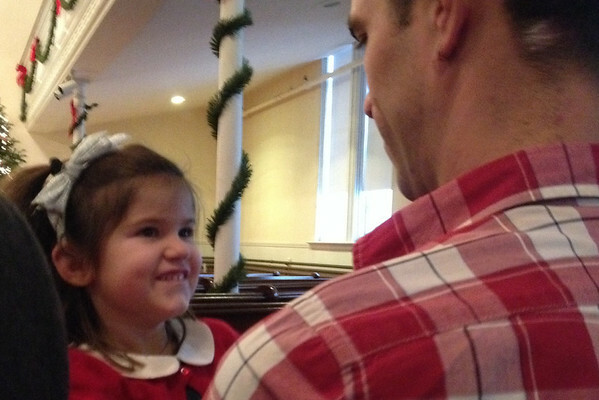 Their smiles marked the beginning of a bright and wonderful Christmas. 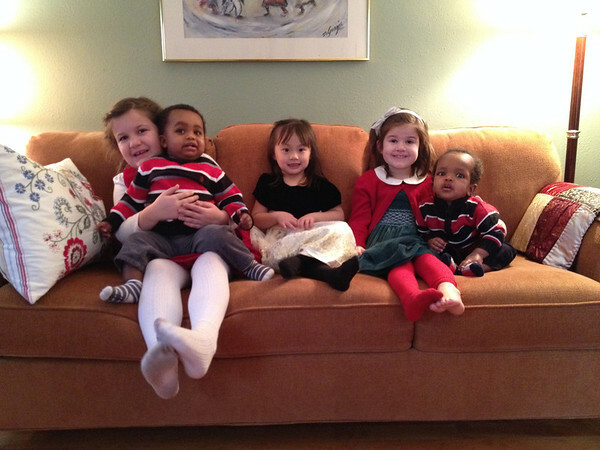 This entry was posted in 365 on December 25, 2013 by Rebecca. 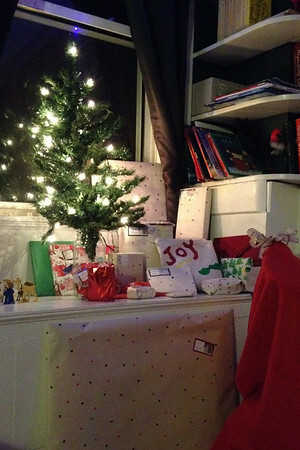 A simple tree and a dear little collection of gifts, just waiting for eager eyes in the morning. This entry was posted in 365 on December 24, 2013 by Rebecca. This entry was posted in 365 on December 23, 2013 by Rebecca. This entry was posted in 365 on December 22, 2013 by Rebecca. 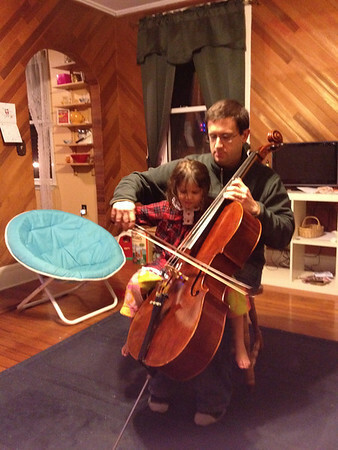 A sweet moment for Papa and Daughter. This entry was posted in 365 on December 21, 2013 by Rebecca.